I remember a forum thread some years ago when two dudes (one Adi and one Nike heads) were arguing over which marque was the better one. The Nike guys main point was that Adi have never made a comfortable shoe……I think that guy would have to eat his words if he were to try a pair of these Adidas Ultra Boost on….BY FAR…..THE MOST….comfortable shoe I have ever worn…more so than Roshe Run/Currents/Prestos….PERIOD. 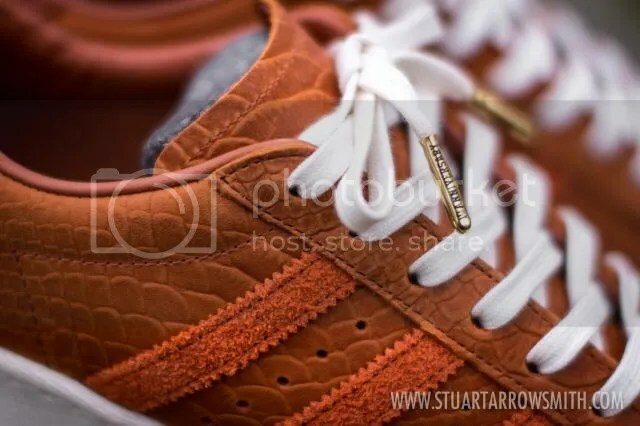 I could be accused of being biased about these, having worked with the boys at Laced for a while when I was living in Aus, but I’d like to think I’d love these just as much if they were a GR. The Zenith is my favourite LCS model and the boys have done a really good job on these….the theme fits right in with the Brisbane sense of humour, the colour blocking and materials are great and the shape…what more could you ask for? Another shoe I foolishly slept on. I personally prefer the contrasting make up of this one from the pack. I really like the contrast of the poppy red against the black/grey, and the subtle but effective use of the speckle on the mudguard sections instead of the sole is a really nice touch. Took a couple of quick shots in between Autumn rain showers….stupidly passed on them when they launched, something I think a lot of people did. The understated nature of the colorway is something of a rarity in this day and age…especially when it comes to collaborations. Designers of the world need to take note of the fact that lessening the shock factor with dramatic colourways isn’t necessarily a bad thing…if anything, it just means that the design will maintain it’s appeal way beyond the initial hype train. It’s a bit of lie to call these new, as I bought them well over a year ago….it’s not often that I buy a shoe and then sit on them for this long, but I have to be careful with these, I reckon they are going to be dirt magnets, and I don’t want to mess em up. The suede is buttery and the attention to detail is properly on point. I bought the Saucony Shadow 6000 Kit Kats on a bit of whim, but didn’t wear them for ages as they just didn’t sit right with me. One day I was going through some boxes and took a long hard look at them, trying to decide whether to sell them on or not…..it dawned on me that they would look a lot better if some of the brown accents were changed to black, so, with nothing to lose I grabbed a sharpie and went to work. 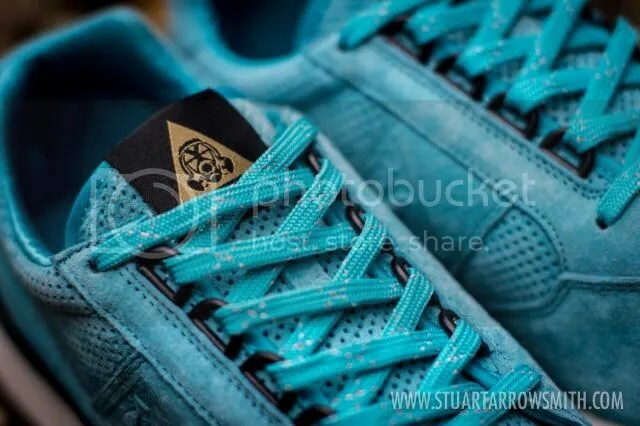 I feel a bit of a fake calling these a custom, having seen the quality and skill of people like Benji Blunt and Ghettrocentricity….hence the reason I call them more of a tweak.